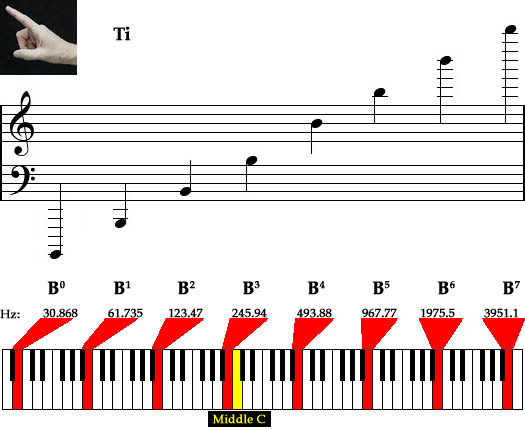 The seventh note (leading tone) in the C major scale. In solfeggio it is called Si, however, in German it is called H (The Germans use the letter B to signify a B flat). The frequencies of the audible pitches of B are notated below. See also [Eng.] B; [Fr.] Si (m); [Ger.] H (n); [It.] Si (m); [Sp.] Si (m).